Magnificent views, stunning coastline, famous landmarks are just a few of the amazing visuals Phillip Island Helicopters passengers experience daily. Cruising in comfort high above one of Australia’s most popular holiday destinations, a scenic helicopter flight over Phillip Island is an unforgettable experience. 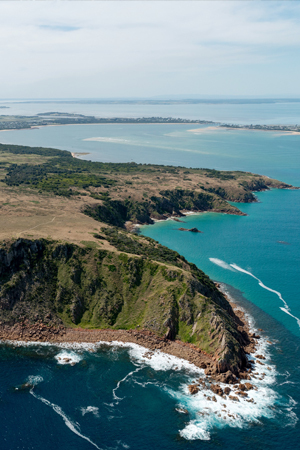 For visitors, this is the ultimate way to see what Phillip Island has to offer with any one of our many flight options. Starting from just $90pp, there are 7 flights to choose from, (8 mins to 42 mins) all with unprecedented views of our spectacular scenery that make Phillip Island a perfect destination for scenic tours; highlights include the Penguin Parade, Grand Prix Circuit, Seal Rocks, Cowes and some incredible surf beaches. Experienced pilots provide informed commentary on the history, attractions and natural wonders of the island. Create lasting memories with family and friends. Go on try it, you’ll love it!